There is no question that music touches us deeply. There are also myriad studies showing the cognitive benefits of listening, but there are even more benefits when actively participating in making music. For the purposes of this discussion, the assumption is that the reader, for whatever reason, is now intent on learning to play a musical instrument. Whether their goal is personal or professional, an initial instrument must be chosen, i.e., they have to start somewhere. This commentary proposes that the piano be that starting point. Mastering one’s voice for the theater, the opera, or that rock combo. No matter the goal, the piano is still the best prelude for all of it. It can take a lifetime to master the piano (if one ever truly does). Even when one studies it as a stepping stone to any other musical endeavor, the foundation that piano study helps to build makes everything else much easier to learn. Piano study gives all budding musicians a head start on reading music, no matter their ultimate instrument choice. 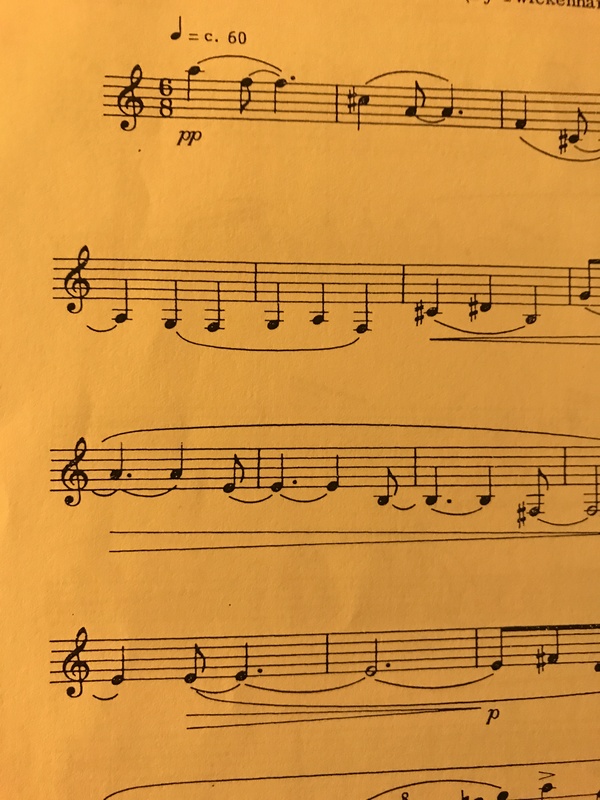 Besides basic note reading, a student learns to read two clefs (treble and bass) simultaneously while often playing multiple notes with each hand. Those same clefs are used by many other instruments, and playing a piano provides excellent physical and cognitive exercise. The cognitive benefits are increased when this is combined with reading music rather than strictly playing by ear because of the language processing involved. Even for the few instruments that might use a different clef (e.g., the viola which uses an alto clef, or the cello, trombone, or bassoon which sometimes use the tenor clef), once a player can read two, it’s all that much easier to pick up another. 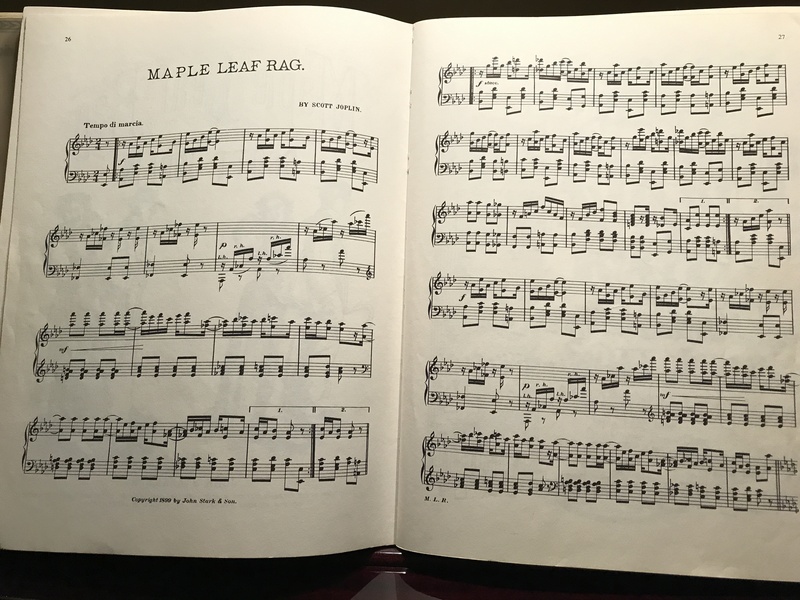 Unlike most other instruments, when learning to read music on a piano or other keyboard, the player can read the notes on the page and then see how they are laid out on the keyboard while they are playing them. The relationships between the notes are directly mirrored on both the page and the instrument. Once reading the notes, note values, and rhythms are mastered, it’s a fairly quick process to play some elementary pieces that sound quite good even though they are simple to play. 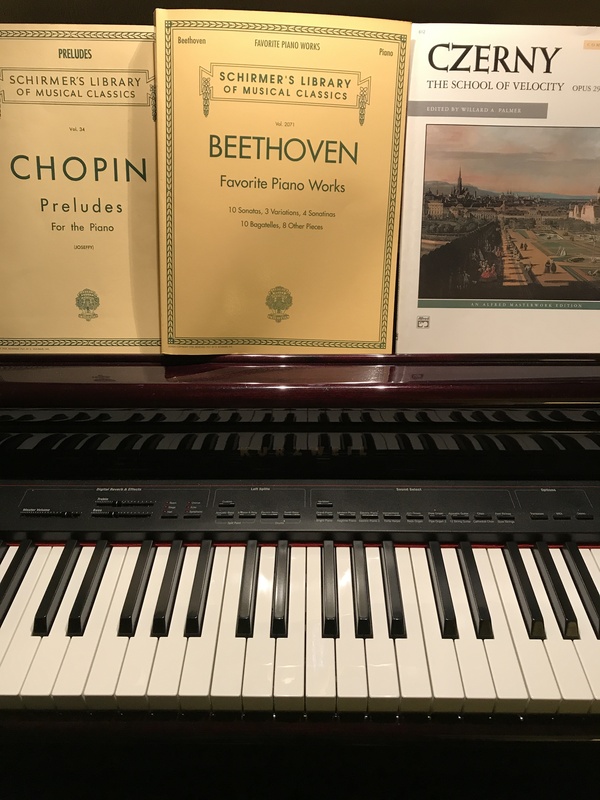 Although it takes many years to master the subtleties of expression and technique and become a virtuoso on any instrument (about 10,000 hours of practice according to many studies), in beginning piano, the player only has to hit the right keys without worrying about breath control or the peculiarities of the instrument itself. This is very different from playing a wind instrument where the embouchure (i.e., how one uses their mouth to blow the instrument), tonguing technique, breath control, and the quality and selection of the physical hardware all have direct impacts on one’s ability to make their instrument sound musical. Likewise, when playing a bowed stringed instrument like a violin, viola, or cello, in addition to the quality of the instrument itself, the pressure of the bow on the strings and the fingers on the fingerboard affect the quality of the sound such that many beginners produce very screechy noises early on. Even a guitar or banjo requires more than simply touching/striking a string to really make music. In addition to the other idiosyncrasies of instruments other than the piano, the responsibility for intonation (i.e., playing in tune) is placed squarely on the player’s shoulders. A woodwind, brass, or string player must listen very closely to others around them and make subtle changes to their tuning while they are playing. This isn’t something a pianist has to do, or even could do if they wanted to. 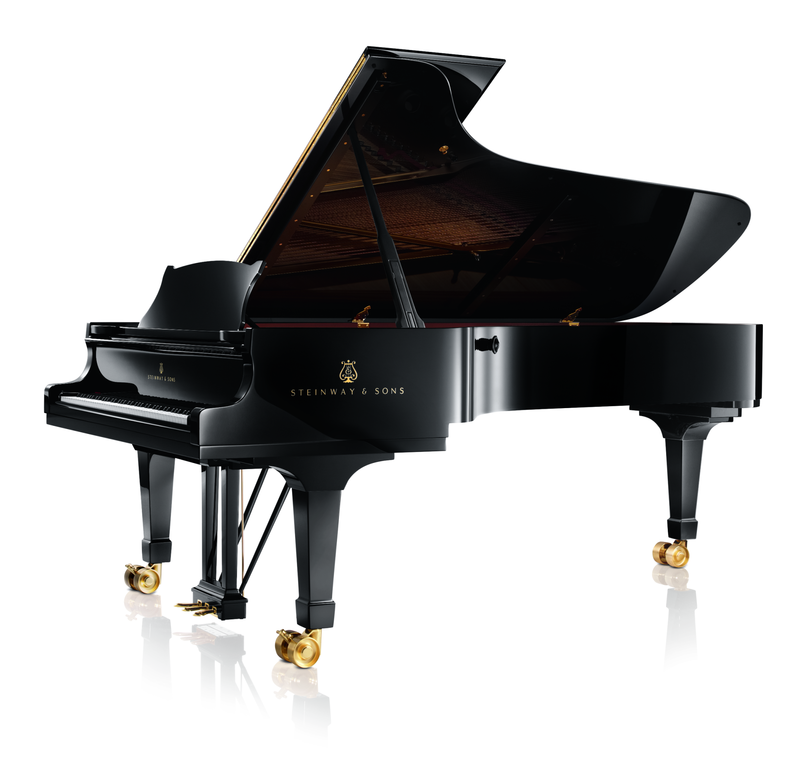 A piano is tuned by a trained technician, and its tuning is what it is when it is played. If the piano is out of tune, everyone else must tune to it, not the other way around. When studying piano, it’s easy to pick up portions of music theory rather painlessly. The scales that define key signatures are also more quickly learned on the piano than on any other instrument because it’s so much easier to see the relationships directly on the keyboard while playing them. Intervals (i.e., the distance between the notes of a scale) are immediately visible both in the music and on the keyboard. This enables an eager piano student to gain an understanding of chord structures and key signatures. A pianist also gains an understanding of how certain sharps or flats appear in various key signatures based on the underlying scale’s starting note. Those sharps and flats are used to keep the intervals of the scale consistent for its type (such as maintaining a major or minor key). Additionally, it’s very easy to see the effects of accidentals on a keyboard, i.e., raising (sharping) and lowering (flatting) tones in general, whether deviating from a set key signature, or just dealing with atonal music that has no specific key/scale behind it. A fair amount of contemporary classical music falls into the atonal category. It’s certainly possible for some players to play an instrument (including the piano) almost entirely “by ear” (i.e., without written music), but that would eliminate a large portion of ensemble (i.e., group) participation outside of improvisational settings. It would also limit their ability to personally play a large portion of music as the composers intended it to be played. Another very positive aspect of having a piano foundation is that it can be a solo instrument giving a complete picture of various musical works. Many other instruments can play alone, but while there is some appeal and literature for unaccompanied “non-piano” instruments, those instances are more limited than they are for piano. For many works, a single woodwind, brass, or stringed instrument wouldn’t have the needed depth, and other parts would be necessary to make them sound complete. A piano (or keyboard) can be played alone, or in combination in far more settings, and in that, it’s the most versatile of instruments. Regardless of one’s final goal, the basics of reading written music and the theory behind its structure are completely transferable. When learning a new instrument (even voice), a strong piano foundation allows a player to focus on the mechanics of that new instrument because they’ll already know the language of music. Speaking from experience, studying the piano first made it far easier for me to learn the clarinet, saxophone, flute, and trumpet later on. The early stages on each new instrument always went very quickly. The reason that learning many other instruments later was so much easier in the beginning was that I already knew how to read, but more importantly, I only had to play one note at a time on a wind instrument. Having a piano foundation also made learning vocal parts much easier. I could accompany myself (slowly), but more importantly, I could play the vocal parts on the piano to help myself learn them when the situation arose. Playing the piano doesn’t do anything for learning the words though. Memorizing lyrics is a completely different endeavor, but the piano is extremely helpful for learning melody or harmony, and those always come far easier for me when I play them on the piano first. Another side benefit of having some piano in my background is social. At times, it helps in connecting with family and friends. Over time, look for an upcoming series on my personal, magical, musical journey. Until then, if you’re just starting out, consider making the piano your own principal prelude to musical prowess. ← Why care about classical music?